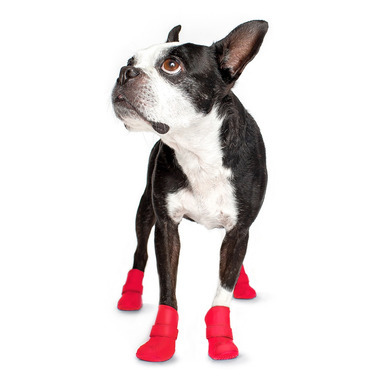 Similar to the British Wellington Boots, these Wellies boots are made to protect your dog’s paws from rain, snow, salt, mud, and tough city sidewalks. 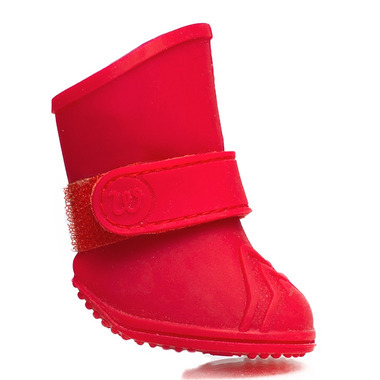 Wellies are designed with a soft and durable silicone rubber, making them not only waterproof but flexible and comfortable too! The ultra-wide opening and hook and loop fastener securing strap takes the stress out of putting them on. 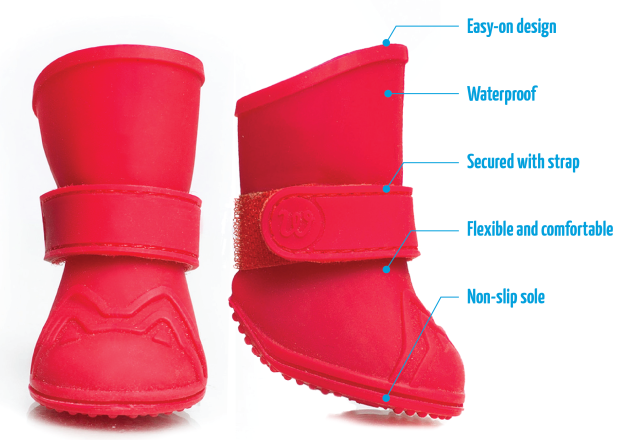 With the Wellies boots, your dog will stay light on his feet in all terrains! Make sure to check the size chart for your dog, you could probably even go up one size. My standard poodle love these boots, and we use them in winter, her feet do not get salt on them and our walks are great, they are easy to get on and off and it's a very good price! Got this pair for my girl doggy, shes a 45lb American Staffirdshire Terrier. Great for rain, snow, protects from salt on sidewalks. I use this for up to -10.